The Laguiole Expression slicing knife takes over the graphic lines of the famous bee logo knife. Its design reinterprets a characteristic look inherited from the traditional Laguiole knives. Rich in chromium and as a matter of fact, totally corrosion-resistant, its thick blade benefits from a high cutting power. 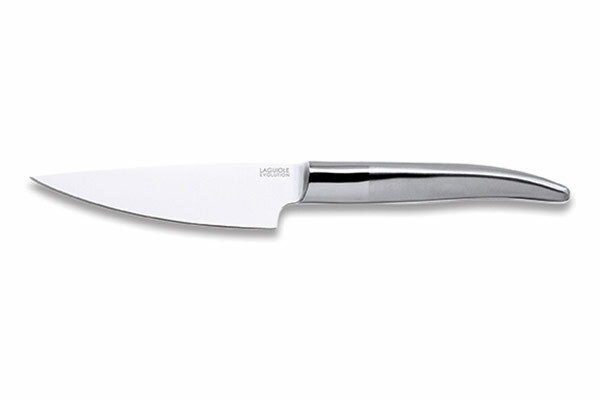 Its solid forged bolster reinforces its strong character as well as its solidity and reliability. The blade can be personalised by laser engraving. 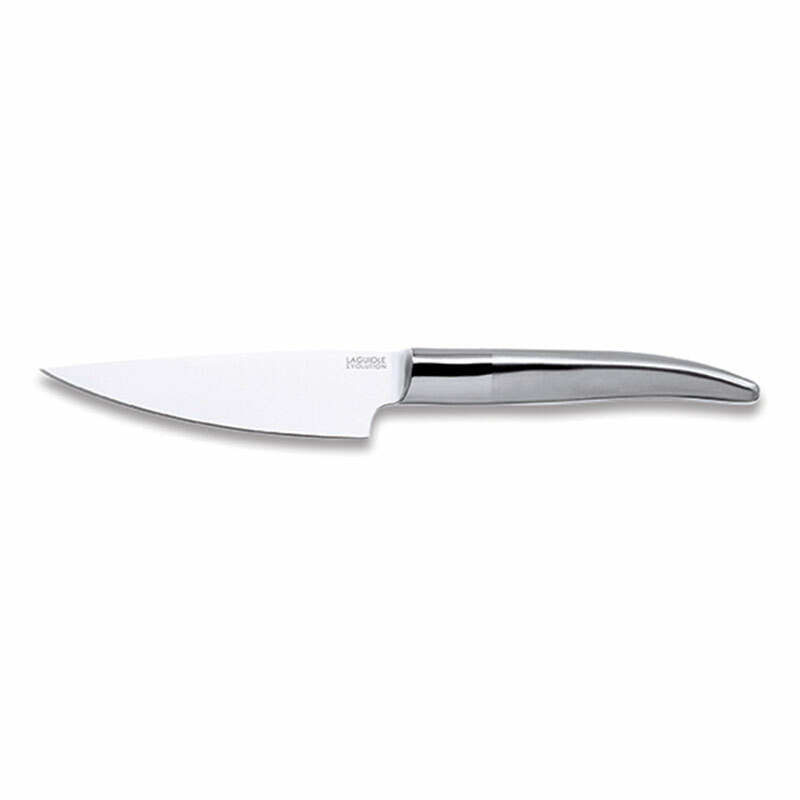 The craftsmen of French cutler TB Groupe brought special care to the finish of the handle of this slicing knife. In forged steel, it offers a flawless robustness and makes the grip very natural. This must-have tool is very manoeuvrable and fully satisfies professional and gourmet enthusiasts. Slicing vegetables, herbs and small pieces of meat has never been so easy!